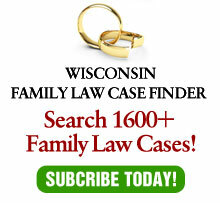 It is rare that the U.S. Supreme Court rules on issues in family law, but one exception is for employment benefits. On Monday, the high court heard oral arguments in Hillman v. Maretta, Case No. 11-1221. According to the court’s summary, the husband died before changing beneficiaries on a life insurance policy from his first wife to his second wife (or anyone else). Virginia has a statute providing that a revocable life insurance beneficiary designation which names a “then spouse” is revoked upon entry of a divorce judgment. The issue is whether the federal law, which requires the proceeds to be paid to the named beneficiary, preempts state law which revokes the designated beneficiary upon a divorce. We always tell clients to immediately change beneficiary designations to avoid this problem. In fact, I tell clients to (1) go directly from the courthouse to their bank or H.R. department at work to change beneficiaries and (2) don’t get killed in a car accident on the way there! (Both parts are good advice, don’t you think?). I’m uncertain as to what part of this case relies on the details of this particular life insurance plan (the last husband was a federal employee) but to the extent the case makes a broad rule about federal preemption, it may make the above advice to clients all the more critical. On the other hand, if it is a narrow opinion relating only to federal employees who have this particular type of insurance, it may not matter. Either way, I’ll post when SCOTUS gets around to a decision, probably this summer.